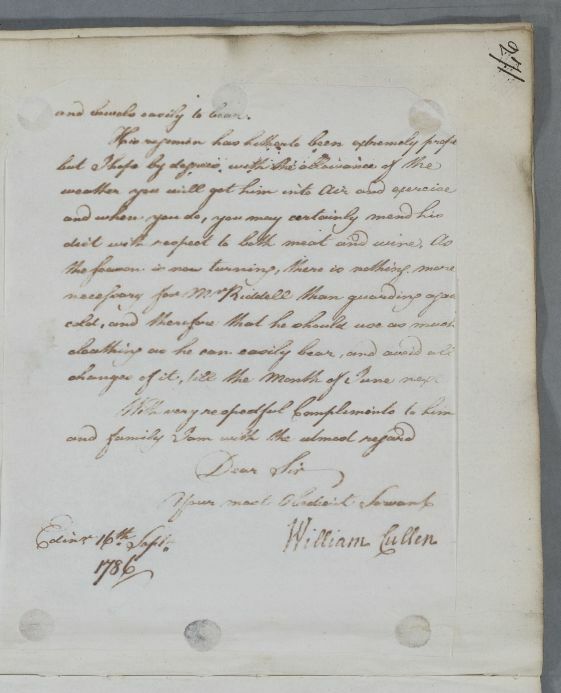 Reply concerning the case of Mr Riddell; Cullen thanks the addressee for giving him accounts of the patient, 'as I am exceedingly desirous of doing him all the service in my power'. 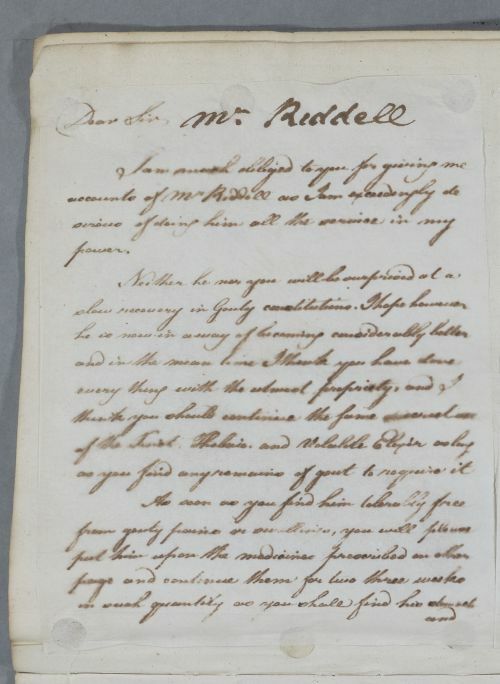 Summary Reply concerning the case of Mr Riddell; Cullen thanks the addressee for giving him accounts of the patient, 'as I am exceedingly desirous of doing him all the service in my power'. 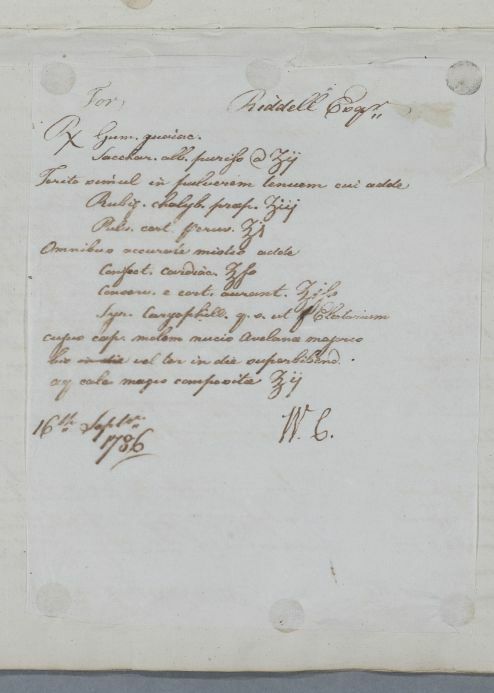 Case of Mr Riddell at or near Hexham, whose complaints include pains in his hands and salivating excessively, all symptoms Cullen attributes to a 'gouty' disposition.